There’s so much to learn about frontend development that it can seem endless. New tools and libraries come out frequently and it can be tough knowing where to start. In this post I’ll cover the 15 best frontend dev books on a wide variety of topics. They’re all handy for learning different languages/tools at different stages of the learning process. Frontend work changes so quickly that you have to be willing to keep learning and improving your skills. These books can give you a big jump start into the most used frontend tools & languages of today. All of the Big Nerd Ranch guides that I’ve ever read have been phenomenal. 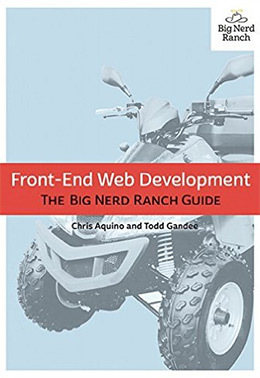 And the same is true of Front-End Web Development: The Big Nerd Ranch Guide. This 478 page tome to frontend development is the best place to start as a novice. It covers all the basics of modern HTML/CSS development to structure and design your websites. Most other books in this list focus on one topic in detail. 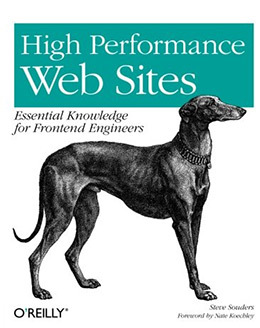 But this is the best book you’ll find covering the whole swath of frontend development. And since it’s written for beginners this guide is the perfect starting point for any aspiring frontend coder. Frontend developers thrive on these JS libraries but you need to learn the fundamentals first. This book starts at the very beginning teaching variables and functions. You’ll learn the proper way to structure your code so that it’s readable and lean. Make sure you already understand HTML and CSS before picking up this book. Jon Duckett is a well-known developer and writer in the web space. He’s the author of HTML & CSS which first published way back in 2011. It seems like these books would be pointless by now but the content holds up. Jon is a skilled writer and he knows how to convey ideas so that anyone can understand them. You can pick up this book with zero knowledge of coding. By the end you’ll be able to design and style your own websites with code. And this book is pretty long so there’s a lot to learn. Thankfully the writing style is easy to follow and each chapter has plenty of examples. This is one book I would recommend for newbies because it’s practically newbie-proof. All you need is time to practice and a willingness to learn. In this book Jon covers all the basics of scripting and writing scripts for the web. You do not need any prior experience with any programming language to work through this book. It is one of the best intros for aspiring web developers because the examples specifically focus on practical situations you’ll face when building websites. Frontend development hinges on HTML. This is the markup language for adding tags to a webpage to display elements on the screen. HTML5 is the newest version and it comes with far more options than the prior HTML4.x. 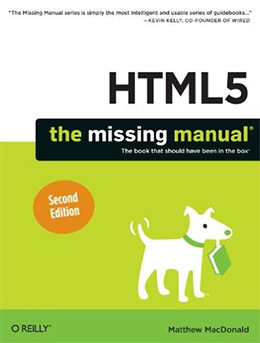 With HTML5: The Missing Manual you get 518 pages covering all the newest features. This book can work as a complete beginner’s guide, but it’s also an excellent reference for semi-experienced devs who want to learn more about HTML5. All HTML code basically looks the same so you’re not learning a new language. Instead you’re learning about new features that got added into HTML5. And if there’s any book I could recommend on the topic it’d be this missing manual. A corollary to the HTML5 manual is CSS3: The Missing Manual. You might be able to guess that CSS3 is also the newest version of CSS. It was released in stages gradually from 2012-2014 and this book covers everything you’ll need to know about modern CSS3 development. It spans 600+ pages full of great information to help you build amazing modern layouts. Since the web moves so fast it can be tough keeping up. But any new additions to CSS3 in the future will still be compatible with everything in this book. 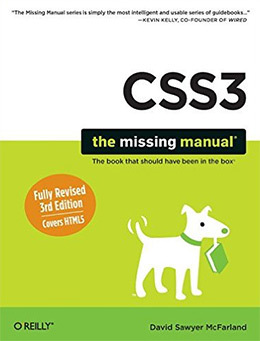 Granted you may not need this book if you’re able to learn CSS3 on your own. But this isn’t the case for everyone so the missing manual series can be a huge help. This is an offbeat title written by a member of the W3C group Lea Verou. The W3C is the committee that controls and modifies the CSS language, so Lea is a worthwhile expert on this subject. 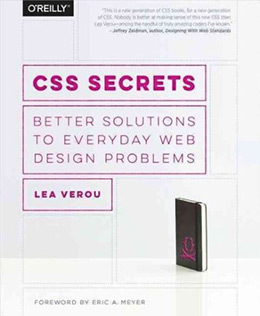 In her book CSS Secrets Lea shares exclusive techniques for building odd and obscure features with CSS. This is not your typical CSS book. It doesn’t teach you how to style buttons or how to make simple layouts. Instead it covers advanced features that can help you customize page styles for unique typography, backgrounds, and even custom CSS shapes. I only recommend this book to a frontend developer who really wants to push their CSS game to the next level. If you just want to make simple websites then this is probably overkill. But if you really want to see what CSS can do then you’ll love CSS Secrets. Gone are the days when simple HTML/CSS was all you needed to learn. The modern frontend landscape is built on tools like Node, Sass, and Gulp(among many others). With so many different tools to pick you may feel overwhelmed. 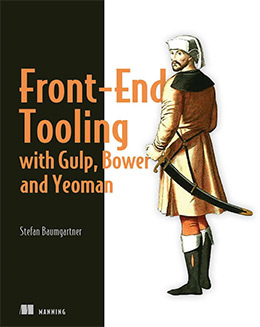 Thankfully there are tons of resources online and lots of great books like Front-End Tooling with Gulp, Bower, and Yeoman. Gulp is an automation tool that can drastically speed up your workflow. Bower and Yeoman are package managers that let you download JS files directly and keep your versions up to date. You may have just read that paragraph and felt your brain turn to mush. But don’t worry! Sass is the modern way to write CSS code. All professional frontend developers use Sass. It’s so much easier and undeniably more powerful than vanilla CSS. With Sass and Compass in Action you get 240 pages full of exercises and source code to help you master the Sass library. 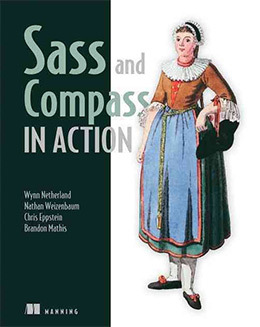 This book also covers Compass, a program used for authoring Sass. Not all developers use Compass but it’s certainly good to learn. However you should absolutely pick up Sass at some point because it’s a staple in frontend development. And this is the only book teaching both with real-world example tutorials. Note this book is geared towards intermediate developers. But since most frontend devs use both jQuery and Sass, it’s a good idea to learn both at some point. 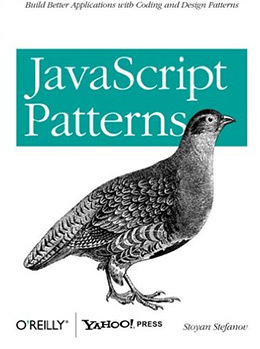 This book has three authors and one of them, John Resig, is the actual creator of jQuery. That’s a pretty solid credit to justify the quality of this book. 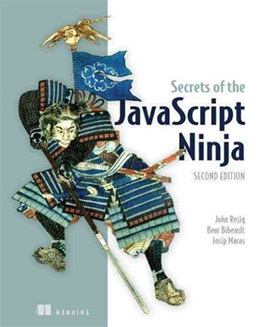 But if you take JS seriously then this book can take you from good to incredible. The goal is to write code that’s easy to debug and easy to share with other developers. If you ever work on a dev team or if you ever release an open source project to the world then you’ll want to make sure your code is up to bar. There are so few books on jQuery that capture the minor details and little problems in web development. But jQuery in Action is a rare book that covers everything you could ever need to know about jQuery. It’s a book made for complete beginners and intermediate developers who want to learn and master the jQuery library. 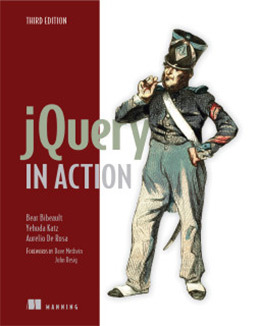 jQuery in Action is currently in its 3rd edition with just over 500 pages. Each chapter covers a series of topics and includes many different tutorial exercises. You’ll learn by example projects and each chapter explains the source code by breaking down what each line does and how it works. 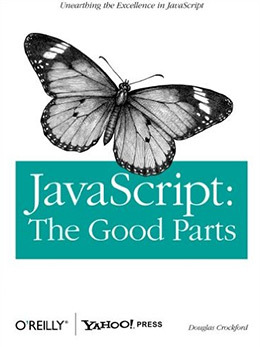 This is far and away the best book on jQuery that money can buy. 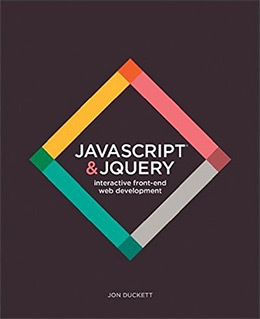 This book will make you a jQuery master whether you’re a semi-experienced dev or even a complete beginner. Every modern website needs to be responsive. We’re in a world where mobile surpasses desktop for Internet usage worldwide. If you want to learn frontend development then you need to understand responsive design. 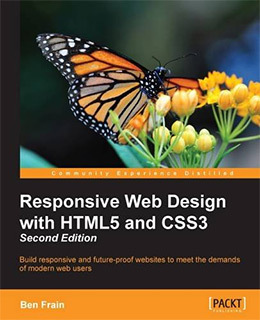 Thankfully the book Responsive Web Design with HTML5 and CSS3 teaches you everything from the ground up. You’ll learn how to structure your HTML to be fully responsive and how to use CSS3 to create responsive breakpoints. In total the book is 350 pages long and each chapter delves into a different exercise. You’ll learn in a step-by-step tutorial fashion which should be easy enough to follow. 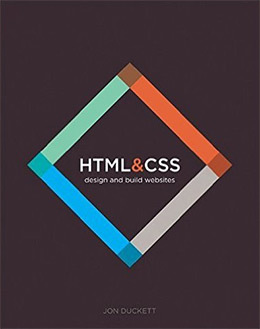 It’s a good idea to already understand the basics of HTML and CSS before picking up this book. However I do think a complete beginner could follow along and learn a lot. Regardless of your experience level it’s crucial to understand responsive design, so if you need a place to start this book can prove incredibly valuable. Very few web developers think about code performance. But this is a huge part of the user experience because a slow-loading website is always a bad one. The holy scripture on this topic is High Performance Web Sites written by Steve Souders. It’s full of handy techniques to reduce HTTP requests, reduce file sizes of external libraries, and more advanced techniques for improving the quality of your code. There’s only so much tweaking you can do on the server to improve load times. Developers need to be conscious of the code they write and how it can be improved. This book will teach you the best practices for building websites that scale quickly and load fast on any platform. And if you find value in this book you might enjoy the sequel Even Faster Web Sites offering more tricks of the trade. Lastly I feel this book has to be thrown into the list for good measure. This is not a development book and it doesn’t have much source code. It won’t teach you how to code websites or build JS applications. 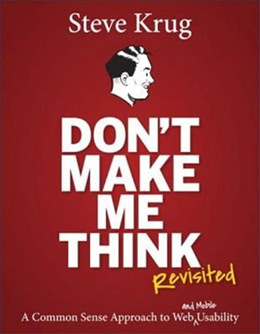 But Don’t Make Me Think is the cornerstone of interface design and usability. A frontend developer may not be designing an interface, but they are implementing it. They’re taking a UI concept and building a usable version. This book teaches you the fundamentals of user experience on the web. It’ll help you nail down the subtle nuances of animations, dropdowns, links, typography, and other seemingly unimportant page elements. I recommend this book for anyone in the web design/dev field. The information is incredibly accurate and will stand the test of time for decades to come. Just keep in mind this is more of a theory book using examples to validate UI/UX ideas. You won’t follow any tutorials or build any specific layouts. But you will learn how to develop interfaces that work and that provide the best possible user experience. Whether you’re a complete beginner or an experienced developer looking to improve your knowledge I can guarantee there’s at least one book here for you. All of these books can take a complete newbie and transform them into a frontend coding machine. Take a look over this list again and see if any titles catch your eye. These are all gems covering a variety of frontend topics and regardless of your experience there’s always more to learn.